Auto accidents are traumatic, whether you have suffered bodily injuries, property damage, or both. They can affect your mental and emotional wellbeing, not to mention the lost wages and pain and suffering you have to go through when recovering from your injuries. However, when a drunk driver is involved, the accident becomes more tragic. This is because it could have been 100 percent avoidable if the other driver was sober. When you make a claim or file a lawsuit against the at-fault driver, the first source of compensation is their auto liability insurance. You can get compensation for your damages up to their policy’s limit. You can recover losses, such as medical bills, property damage, pain and suffering, lost wages, and in some cases, punitive damages. In some cases, the other driver does not carry any type of insurance or their policy limit is insufficient to fully compensate for your damages. In such a situation, you may turn to a second source of compensation, i.e., your own uninsured/underinsured motorist coverage. In Illinois, drivers are required to carry a minimum uninsured motorist coverage of $40,000 for bodily injury and $20,000 for property damages under uninsured motorist law. If you opt for additional liability coverage, you can benefit from higher policy limits, unless you choose stay with the minimum coverage. Therefore, if the drunk driver was using another person’s car, you can bring a claim against the owner for negligent entrustment. In Illinois, there are dram shop laws that allow an injured individual to seek compensation against a bar or any other establishment serving alcohol that overserved the defendant, leading to the accident. While other states require a plaintiff to prove that an establishment negligently or knowingly overserved a customer, Illinois laws make it somewhat easier to make a claim. Under Illinois Dram Shop Act, you are not required to provide evidence for proving negligence or intent. You only need to prove that the bar or establishment overserved the driver, and intoxication resulted in the accident causing your injuries. While there are several ways to seek compensation and recover damages for your injures, it can be difficult to gather evidence and make a claim against the driver and the other parties involved. 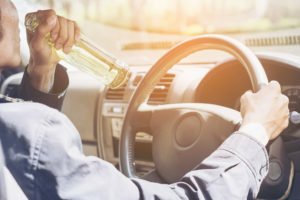 If you or your loved one has been injured in a DUI accident, it is best to consult an experienced personal injury attorney who can help you navigate through the legal system and fight for a favorable outcome. Contact Fisk & Monteleone Ltd. today at 815-209-9030 to schedule a free case consultation with one of our experienced attorneys.